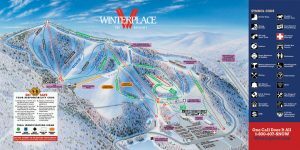 Located in Ghent, West Virginia, Winterplace Ski Resort offers more than 90 acres of skiable terrain and a summit elevation of nearly 3,600 feet. Though their vertical drop is one of the smallest in the state (603), staff at the resort make the most of the stunning mountain. Winterplace has snowmaking ability on 100% of their trails, and the longest run is over a mile long. Don’t want to wait in line to access one of their 27 trails? With ten lifts, including two quads, two doubles, three triples, and three super carpet lifts, you’ll be at the summit in no time. Though Winterplace has a relatively small vertical drop, they don’t skimp on the adrenaline. Beginner terrain comprises around a third of the mountain, and another 40% is designated intermediate. However, almost a quarter of the mountain’s trails are marked with black diamonds, making this an excellent resort for all members of the family. 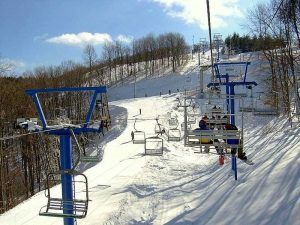 Winterplace also offers night skiing on nearly all of its trails, including the resort’s two terrain parks. If you’re not a fan of skiing but still want to visit, Winterplace houses the largest snow tubing park in West Virginia; it offers two Super Tubing Carpet Lifts and up to 18 lanes of high-speed fun. Additionally, if you’re visiting with small children, you won’t have to sacrifice any fun; the resort offers ski programs for kids ages 5 to 12 and childcare for children as young as 6 months. Importantly, a day at Winterplace Ski Resort won’t cost as much as the other West Virginia mountains. 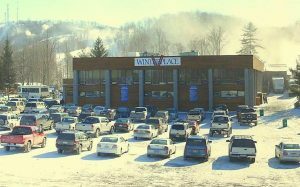 In fact, a weekend or holiday adult ticket is just over $50—a drastic change from larger resorts, such as Snowshoe and Canaan Valley. Planning to ski with a large group? You can save over $300 if your group has fifteen or more adults. For more information about Winterplace’s rates and promotions, see the following link. This entry was posted in Resorts. Bookmark the permalink.